BrainFizz - Routing, Making, Custom projects & Training. 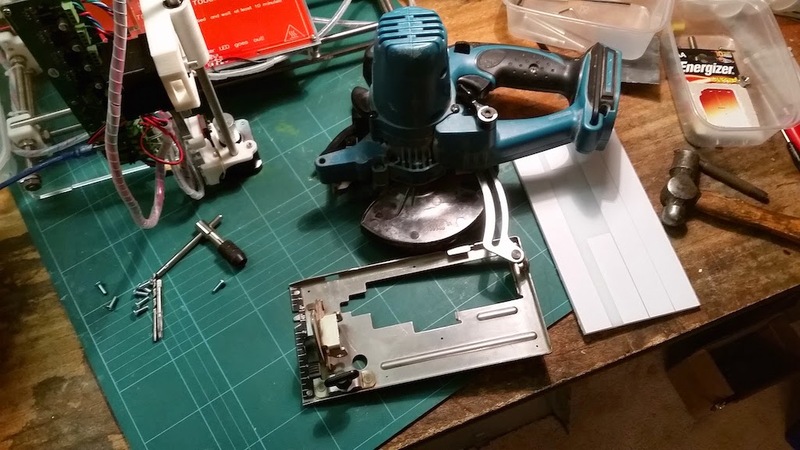 : Better cuts from a Cordless Skill saw: Making a DIY removable UHMW Zero clearance Sole. 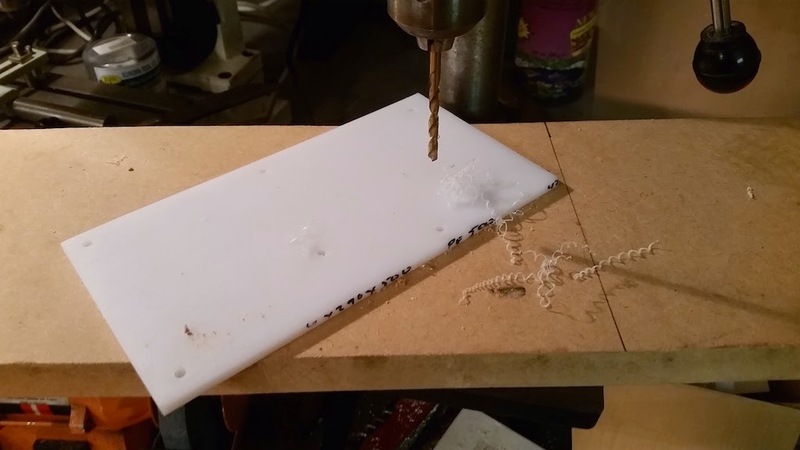 Better cuts from a Cordless Skill saw: Making a DIY removable UHMW Zero clearance Sole. You may have seen the article on the guide track I made this week, if not I highly recommend taking a look as it'll make for a really good upgrade to your processing of sheet goods, and speed things along nicely! 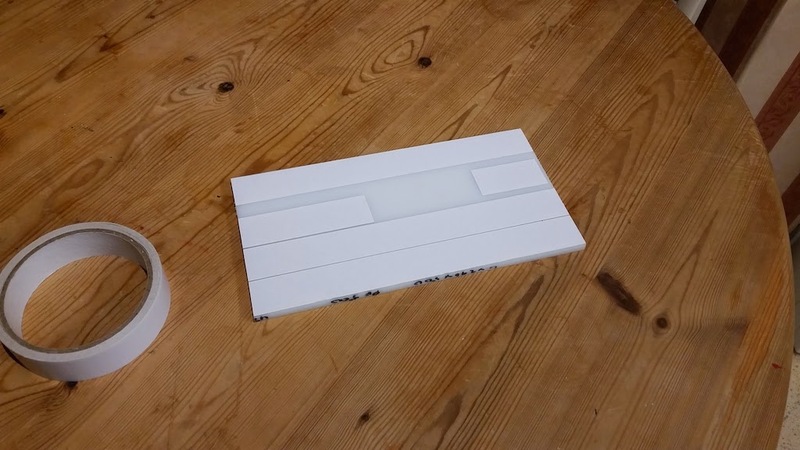 In the future I'd like to upgrade it still further and build another completely from UHMW (Polyethylene), but when i did this I only had a small piece, so here's what I did, and how. I started off with just a basic cordless trims. 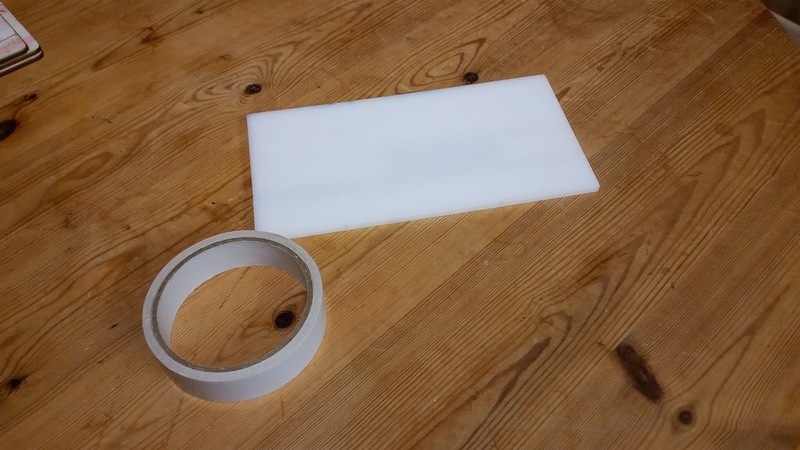 Then cut a pice of UHMW plastic and some double sided tape. I judged where the metal part of the saws sole would make contact with the plastic and completely covered the area with the tape. 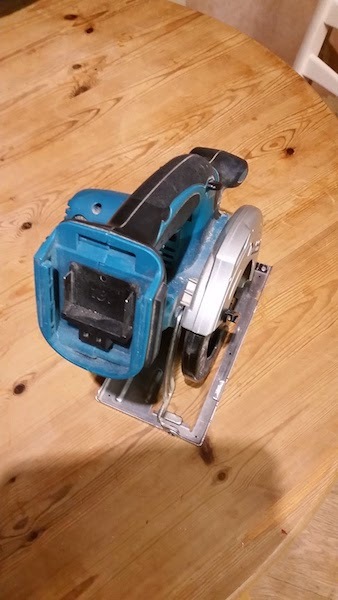 lining up the fixing holes onto the saw would be important as if the side of the plastic isn't parallel to the blade, the saw will want to skid along the edge and not track well to the guide. It's the same principle as a tables blade and fence. 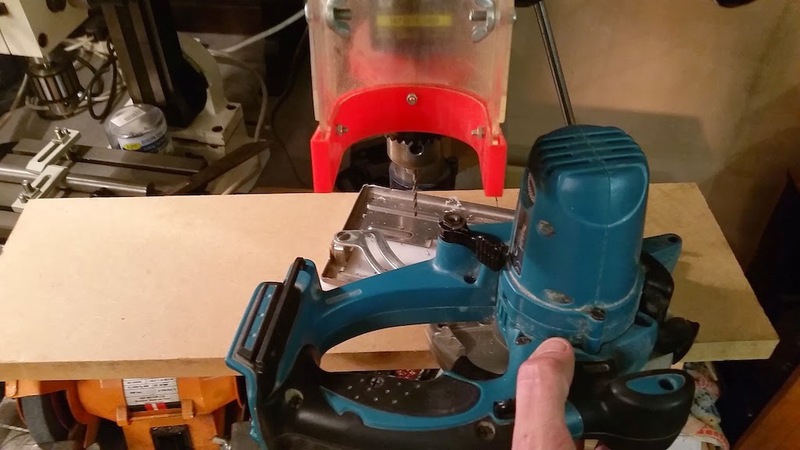 The next task was to take the saw apart so I could put it onto the pillar drill and pilot the mounting points in both parts at the same time. You can see the black dots where i wanted to drill, and these were then marked with a centre punch and ball pain hammer (shown). The centre punch mark makes it easy to see the point where you want to drill, as well as leaving a small indentation, stopping the point of the drill bit from skidding when it hits the material. I had a search around and found some M4x12mm countersunk machine screws, so drilled a 3.2mm pilot through both the metal sole of the saw and the plastic in one go. This meant the holes would all be perfectly aligned later on. 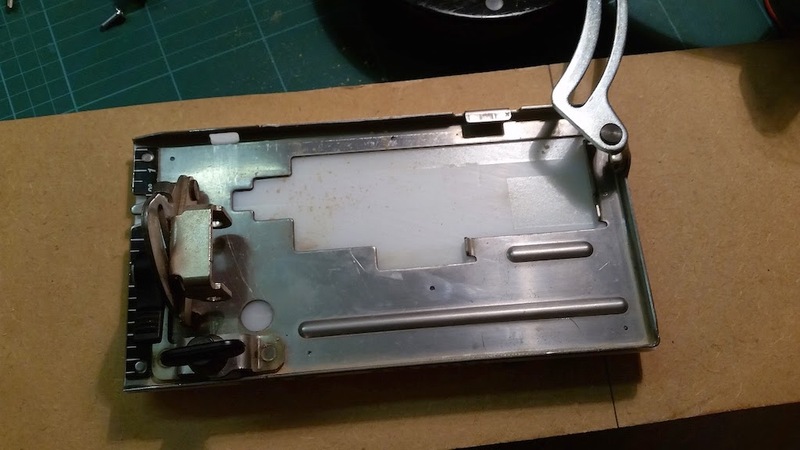 Once all the holes were drilled, I separated the plastic and redressed the plastic for a clearance hole of 4.5mm which would then be countersunk so the screw heads were not scrapping the material when in use. 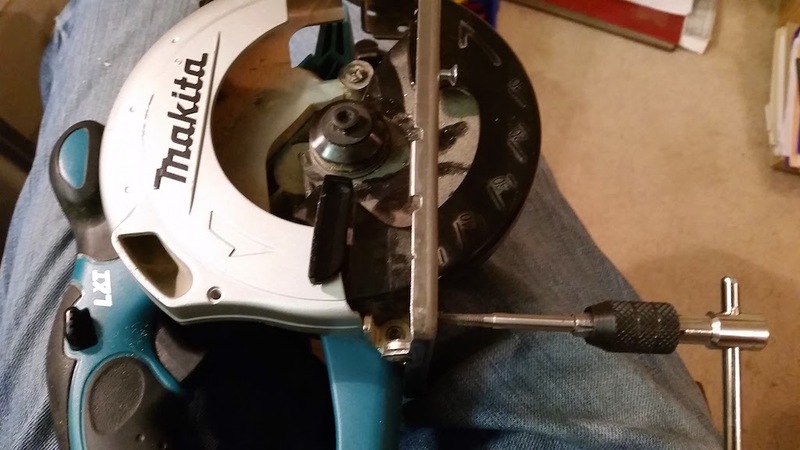 The holes in the saw base were then tapped by hand to create a M4x0.75 threaded hole for the screws. Threading holes by hand is pretty easy, just take it slow, put a little downward pressure on it so you thread the hole rather than ream it out, and be careful to keep it square. The new sole could then be screwed on by hand. I didn't show it in the pictures, but I needed to file the scarf off the top of the holes and do a little clean up on the countersinks, but thats just a case of 5 minutes work. Once fitted it just needed to be cut through to give a slot for the saw blade. Now the saw glides along what ever surface I'm cutting, giving a slightly better cut than before, but more importantly a lot less resistance due to the low friction of the surface. 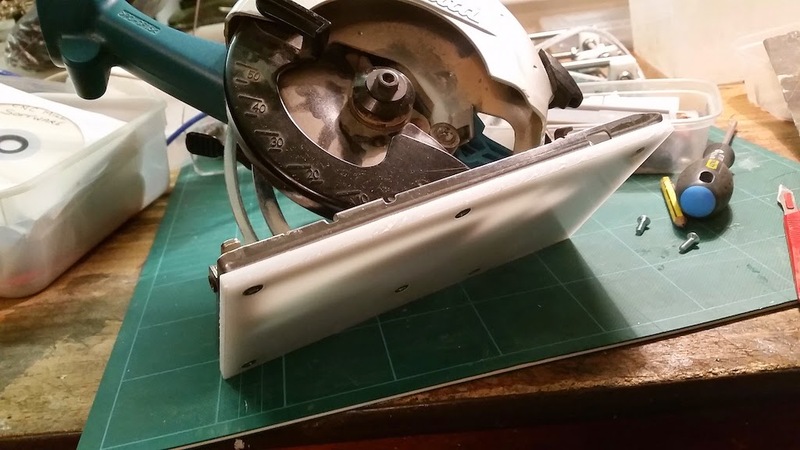 The only real downside is the blade guard is always exposed, before and after any cut. Also I store my saw in a box at full plunge, so it means being stored with the blade exposed. Not a huge problem as I just remove the sole when in storage. Still a much better option for easier cutting. Let me know if you tried this kind of thing on your own skill saw. I'd be interested to hear your thoughts on ways to improve the design! And feel free to share this post, it all helps support BrainFizz.uk!